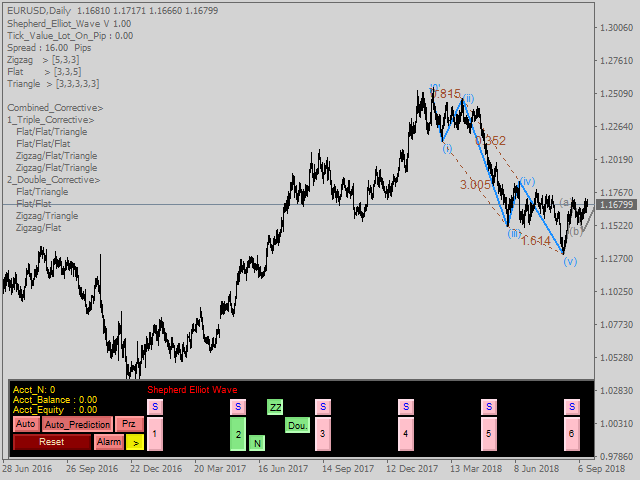 Manual Work : this option for whom work with manual Elliot wave theory it will allow you to draw with 9 grades and you can define every grade alone by moving the draws on chart after they appear and it will be more easier to draw with this indicator note that it will save all drawing data on platform data folder. Use_System_Visuals - Enable/Disable Indicator theme . Explain_Comment - Enable/Disable explain comment for waves numbering. Show_Last_Candle_Counter - Enable/Disable candle time counter. Candle_Counter_Color - Color Of Candle Counter. Basic_Wave_Color - The main wave color . 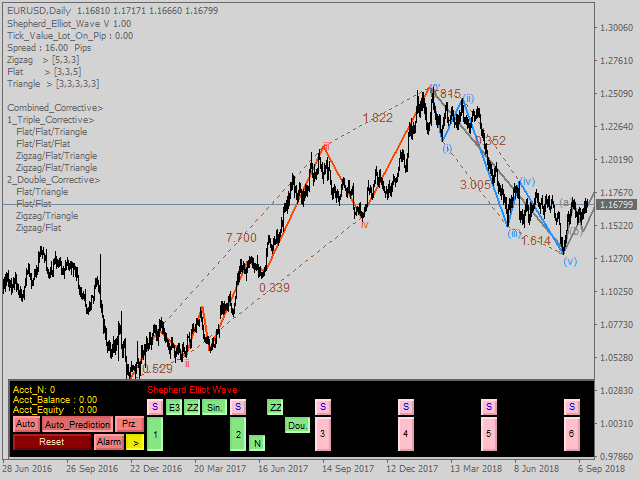 Bullish_Wave_Color - Color For The Bullish 5 motive wave when it detected . Bearish_Wave_Color - Color For The Bearish 5 motive wave when it detected . Ending_Diagonal_Color - Color For The Ending Diagonal motive wave when it detected . Leading_Diagonal_Color - Color For The Leading Diagonal motive wave when it detected . Correction_Color - Color For The Corrective waves . Proportion_Color - Color For The Waves Proportions . 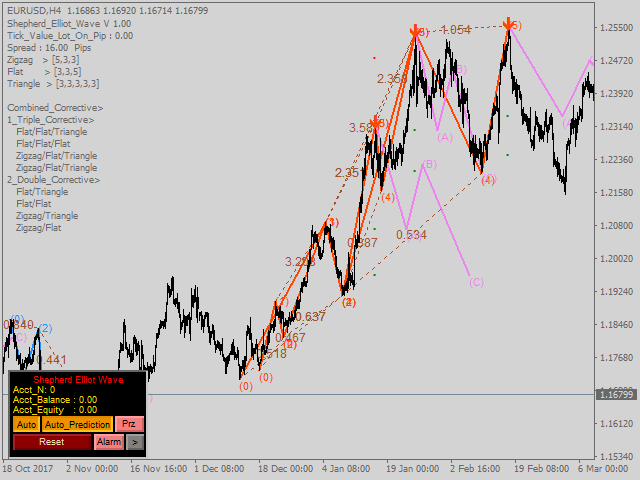 PRZs_Color - Color For waves potential reversal zones. Font_Color - Color For The texts. Font_Size - Size of Texts. Show_Targets - Enable/Disable show targets in the auto mode . Send_Alert - Enable/Disable Alert function . Send_Notification - Enable/Disable Notification function . Send_Email - Enable/Disable Email function . History_Bars - Max number of historical bars that will be analyzed whith auto funtion . I need technical support from Abdullah to give me an updated version of the indicator. he hasn't replied me. 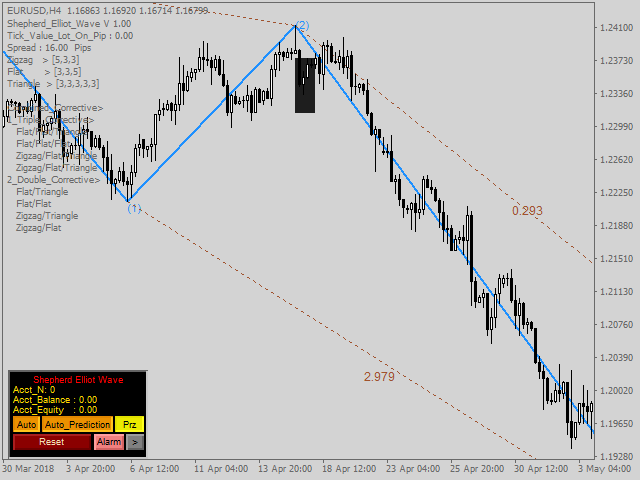 Indicators works great during my first month rent,and I tested it on EURUSD pair with different time frame. You need a powerful CPU otherwise it will slow down your PC when you open too many charts with it.